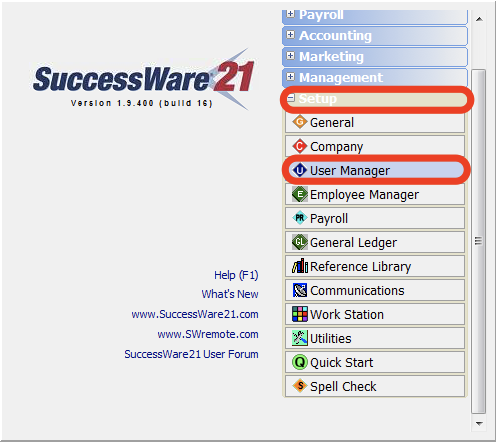 How do I set up new users groups for Technicians in SuccessWare21? The remote user groups required to log into SWRemote are not setup by default in SuccessWare21. New users to SWRemote need to perform this one time task to create these groups. Navigate to Setup -> User Manager. Right-click on an empty area and select User Groups . Click on the blue "Remote User Groups" link in the top-right hand corner of the window . RemoteTech: Has the basic abilities, can complete calls and send invoices. RemoteTechOnCall: Has the basic abilities, and can add jobs directly from device. RemoteTechManager: Has the basic abilities, plus can add jobs from device and view all users' schedules. 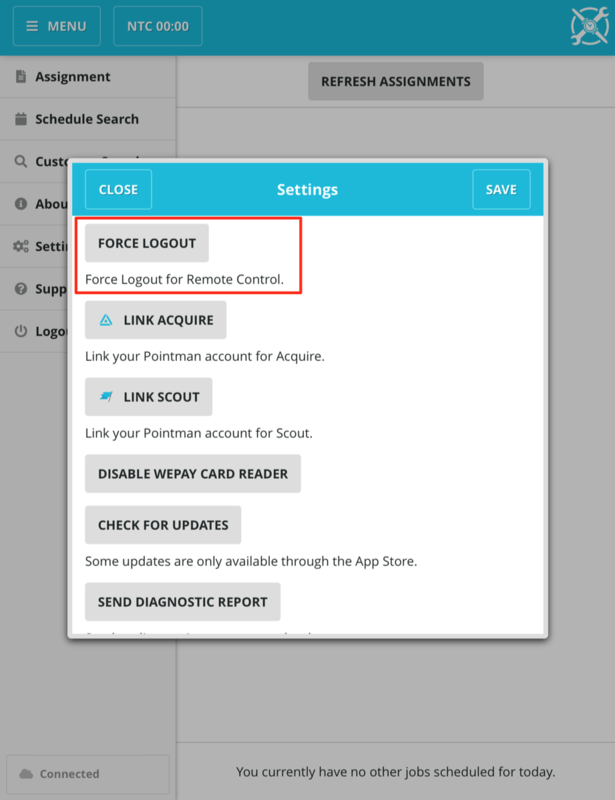 If changing usergroups for a Tech, have them go into settings, and select Force Logout. They should now see this change to take effect.